Welcome home to 2901 Blue Teal Lane located in the Signal Mtn. 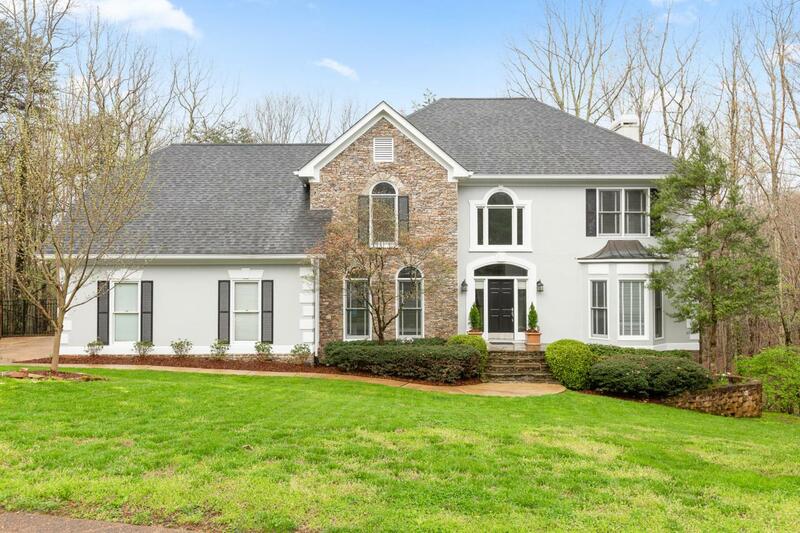 community of Fox Run.This home sits on a 1.3 acre private cul de sac lot.This stately home offers a large bright foyer with ascending staircase to the master suite and three additional oversized bedrooms. The main level is large and open with a dining room fit for entertaining, den with built in cabinets and large windows to enjoy the private backyard. The finished basement provides ample space for a teen or mother-in-law suite, including bedroom, full bath, large den and access to the backyard. You can enjoy the hot tub, or relax around the fire pit, all while listening to the calming sound of a gentle stream located at the back of the lot.Minutes to shopping, local eateries and award winning Signal Mtn Schools.